“What has been will be again, what has been done will be done again. There is nothing new under the sun” Ecclesiastes 1:9. Primary Care Networks (PCNs) may be the shiny new toy of today, but of course they are not completely new. At their heart they are about practices working together, about the introduction of new roles, about securing a vibrant future for general practice, about joining general practice more closely together with the rest of the NHS, and about making a difference to local populations. These are challenges GP practices have been grappling with for a number of years now. In 2016 at Ockham Healthcare we started the General Practice podcast, and have featured case study after case study of GPs, practices and groups of practices who have been innovating and finding new ways of working to tackle these challenges. 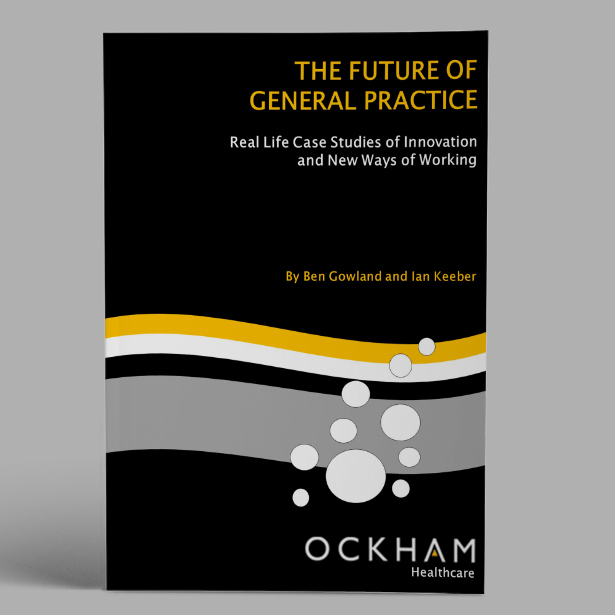 We also published, “The Future of General Practice. Real Life Case Studies of Innovation and New Ways of Working”, in which we highlighted 16 of these case studies, analysed why they had been successful, and distilled the lessons that could be learnt from them. What strikes me now is that this learning is more relevant than ever, to accelerate the progress and impact PCNs are able to make, and to avoid the mistakes of the past being repeated. The case studies include a focus on introducing new roles. We considered the impact of pharmacists, first contact physiotherapists, and paramedics, and how they could reduce the workload of GPs. Even more interestingly, we looked at the development of multidisciplinary teams in general practice, and in particular how in some places they have transformed the management of on the day demand and the whole experience of being a duty doctor in a practice. Key lessons included starting with the person not the profession, keeping a focus on building a wider team not on individual roles in isolation, and the need to stage appointments of staff over time. Just like new roles, working with other practices is not new. There are many experiences out there of what to do and what not to do that those involved in setting up the new PCNs would be wise to pay heed to. We looked at case studies of mergers over a time period, multiple mergers at the same time, as well as the establishment of a super-partnership. A whole range of benefits of at-scale working were realised, such as improved resilience, a better ability to manage demand, and greater profitability. However, we also found simply working at scale does not automatically generate these benefits, and highlighted some important lessons for practices working together to make these a reality. A key focus of PCNs will be partnering with other organisations, but again this is not completely new ground for general practice. In the book we considered case studies of practices working with a hospital, with a community trust, with community pharmacy, with the voluntary sector and the local community. We looked at the benefits general practice was able to achieve through this, such as access to staff, back office support, financial gains, and also what factors seemed to make these particular relationships successful compared to areas where relationships are poor. There are now less than 75 copies of “The Future of General Practice” left. To help those who want to learn the lessons from the past as they create the future with PCNs, we are making them available for only £9.99, a discount of over 60%, for as long as stocks last. Click here for your copy. The fastest way to success is always to learn first from those who have gone before you.